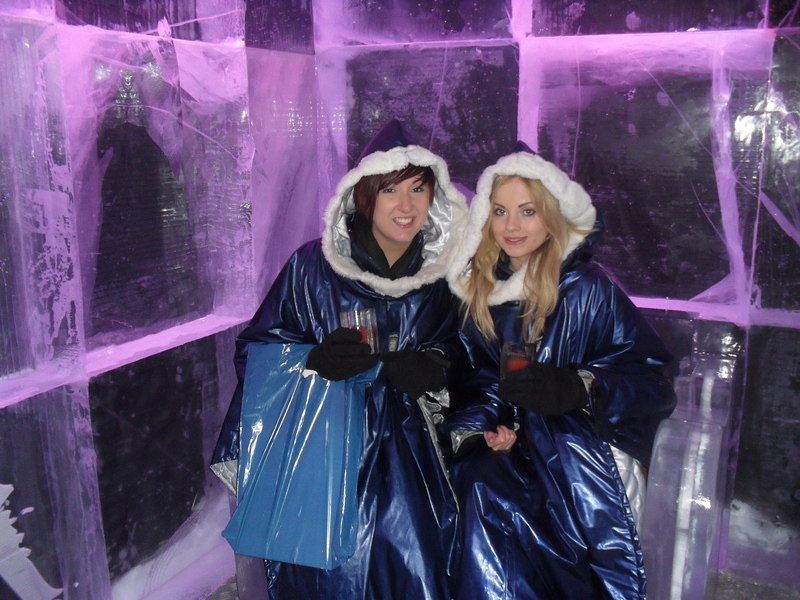 Last weekend I went to ‘Absolut Ice Bar’ on Regent Street, and can confirm that it is without a doubt the ‘coolest’ bar in town! I enjoyed an Absolut Vodka berry cocktail out of a block of ice whilst sat on a chair made out of ice from the Torne river in Sweden. Luckily we were given snuggly capes and Arctic gloves to keep us warm in the minus 5 degrees surroundings. The whole experience was bizarre, you could quite literally feel your feet sticking to the ground. The ice glass makes your hands feel as though you’ve been snowball fighting. My friend braved the cold in flip-flops and proved that us Northern ladies are tougher than we look! 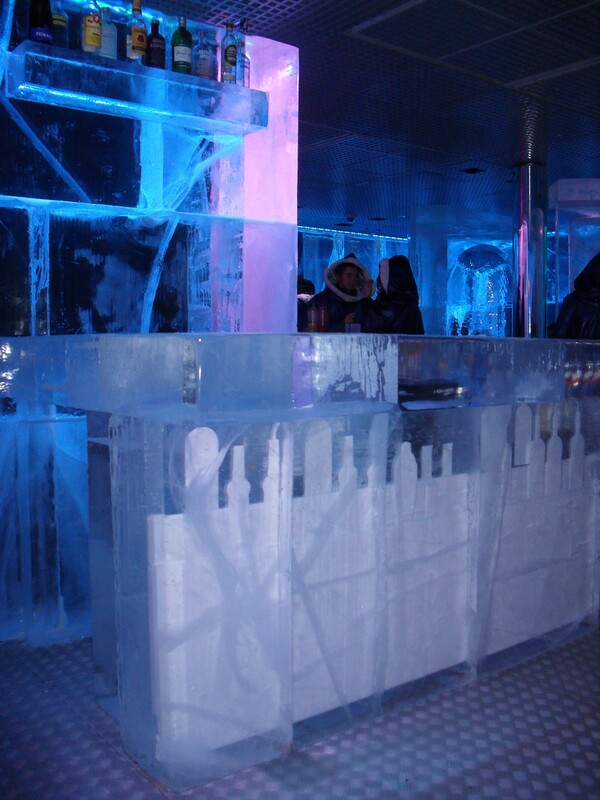 The bar opened its doors back in 2005 and has enjoyed success through sensational events and innovative ice designs. I particularly liked the one of a reindeer pulling a sleigh which made me feel fantastically festive. When we had finished the experience after lasting a mere half hour, we were invited for a hot martini and a flick through the Ice Bar’s sister venue ‘Hotel Ice’, which looks beyond amazing. For £13.50 ticket including a free drink token, a visit to the bar is a must if you’re in London for a unique experience. Whilst you won’t make it your local the cosy “Wolf Bar” attached is the perfect contrast.